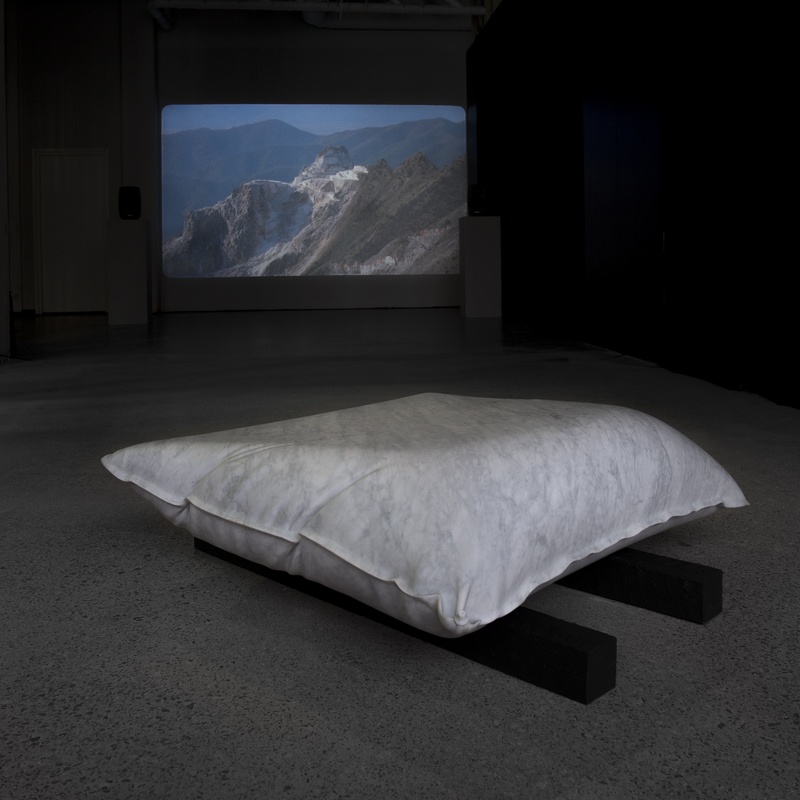 Jonna Kina’s work lies at the junction of sound and art. 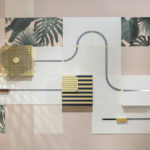 Viewing Kina’s art objects requires you to make connections, to find the thread that runs through the visual and aural ideas she presents. 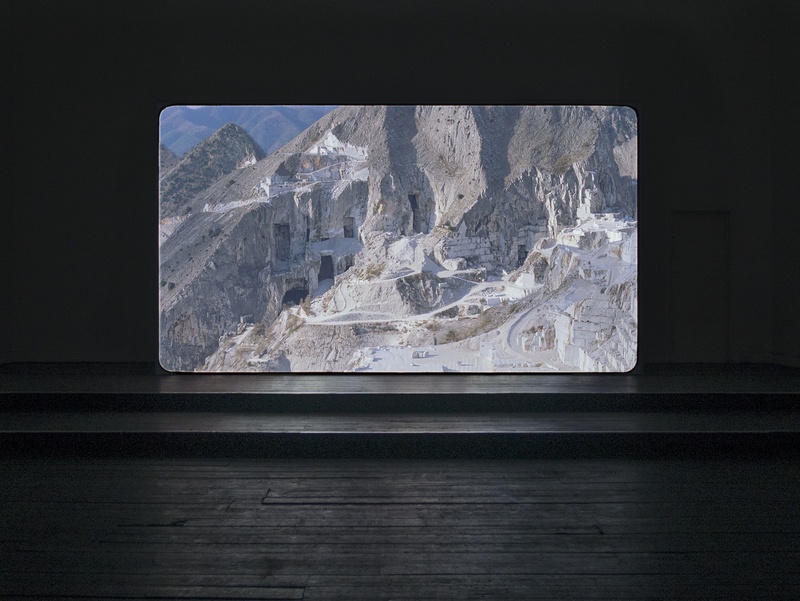 In Somnivm, she removes the human element from the images of the marble quarries at Carrara, allowing the viewer to discern what has caused the beautiful destruction of the landscapes. Here, the sound adds to the emptiness in the landscapes by filling it with the natural, authentic sounds recorded at the quarries. 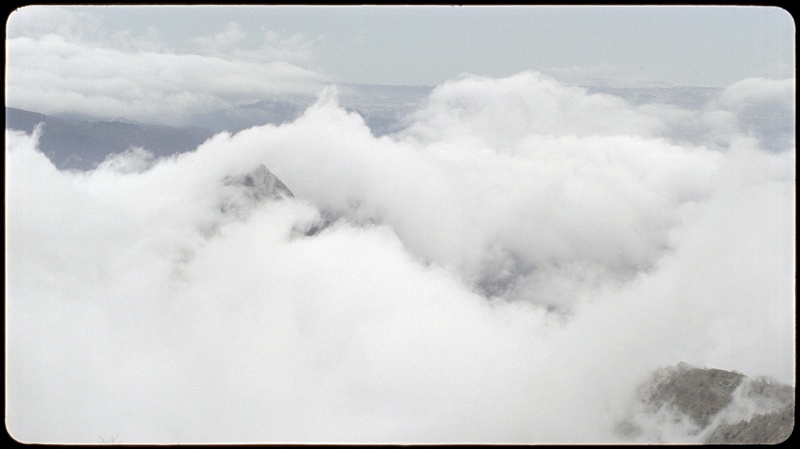 In a previous work, Foley Objects, she presented the sounds created by sound engineers for film as image, letting that be the representation of the final object. Sound is imagery, but the recreation of sound, as art is the recreation of image. 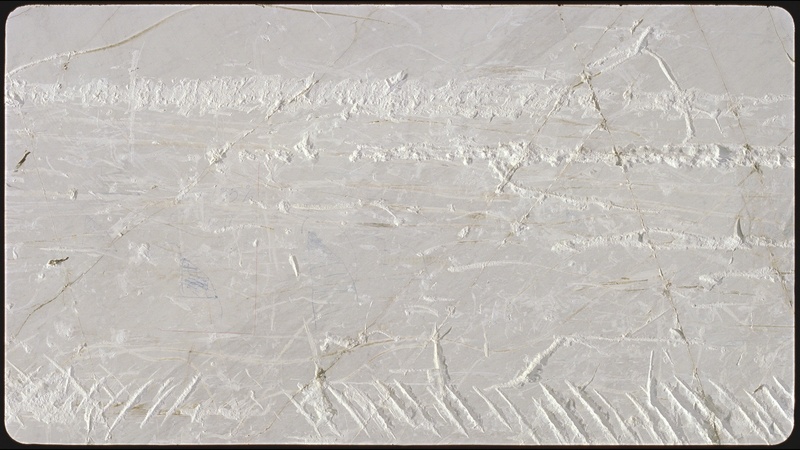 Jonna Kina has documented the process of the recreation of sound in Arr. for a Scene, going so far as to write the score – the creation of orchestration for a work of art. Somnivm was created as a result of the Below Zeroart prize awarded by the Finnish Institute in London and Beaconsfield Gallery Vauxhall. The award included a residency period in London. Somnivmis on display in the Finlayson Art Area in Tampere until August 26. What does sound mean to you and your art? What is your relationship to sound, and how does the viewer relate to it? Sound plays a key role in my practice. The beauty of sound is the almost immaterial quality of it. I find it interesting to conceptualize sound and that there have been attempts to ‘see sound’. How I became a visual artist is a result of many coincidences – as everything often is – but I could be working in music instead. My works are often conceptual and structural from their starting point, which directs also the use of sound in each work. 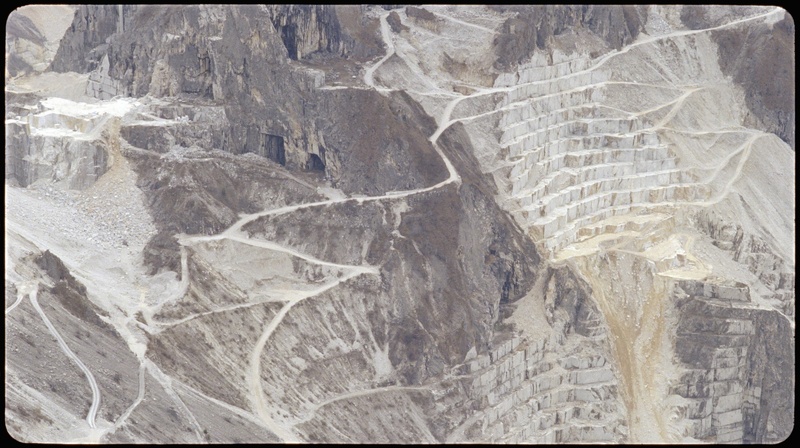 For example in my latest film “Somnivm” (2017–2018) the sound is based on the field recordings that were recorded at the marble quarry in Carrara, Italy. We used, for example, a sound impulse to be able to reconstruct the acoustics of the place, which were very extraordinary. The guide for the composition was ‘reality produces fiction’. Currently I am finalizing the spatialization of the sounds with composer Juan de Dios Magdaleno, who works with a multichannel composition. Exhibition view. 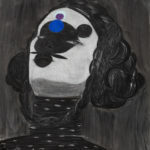 Jonna Kina, Somnivm, 2017–2018. The viewer at times needs to do a bit of their own interpretation work when viewing your art. Is this intentional? How do you pull the viewer in? As a visual artist I would like to invite people to understand the work in its full nature, which is usually complex. I also think if I try intentionally to direct how people interpret my work I would introduce a frame and leave something crucial outside. To ‘pull the viewer in’ doesn’t necessarily mean to be informative or intentionally confusing either. Perhaps my works can offer poetic links and subconscious connections that cannot be described or manifested easily with regular information. I think that coincidences, accidents and mistakes can play a major part during the working process. That is why the process is very important – allowing for mistakes or a chance to be productive. Sometimes errors in the process can offer a totally different approach/viewpoint – giving another dimension to the work when it is perceived as an opportunity, rather than a failure that must be eliminated. But of course it requires that I allow and process them thoroughly. I wish to treat each subject matter as a unique project, allowing new methods, processes, mediums and people to take part. My works often reconstruct or offer an alternative approach to the subject matter, concentrating on revealing, manipulating or disturbing the conventions of representation. I am interested in combining different languages that carry multiple meanings.I look at my subjects behind the scenes and structures, looking for the invisible.